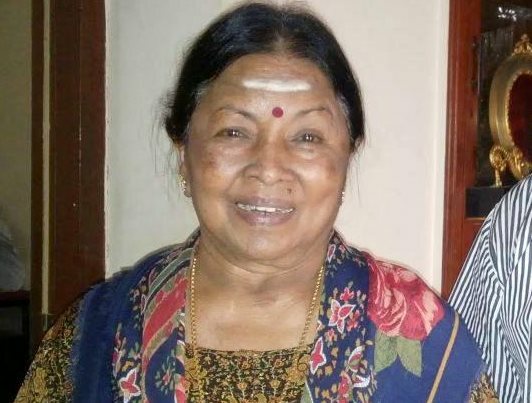 Internet went by storm over the reports that stated veteran actress Aachi Manorama is in severe condition, which later went on to have confirmed that the age-old star has breathed her last. Putting a stop to all such baseless rumours that working overtime in social networking sites, Manorama herself came out in open and said she is very much alive, hale and hearty, to press. The actress who entertained audiences in Tamil, Telugu and others languages, Manorama also admitted that she has recently given her consent to three upcoming Tamil films and is looking forward to it. An item in the 'Ripley's Believe It or Not' newspaper feature has her picture and the following statement: "Aachi' Manorama, a veteran of India's Tamil film industry, has appeared in more than 1,500 movies and 1,000 stage performances!". She also has a unique record for being able to work with five Chief Ministers of Andhra Pradesh and Tamil Nadu. She played the female lead in the plays written, directed and acted by CN Annadurai, former CM of Tamil Nadu. She has also appeared in plays with M Karunanidhi. She has acted in films with MG Ramachandran and Jayalalitha who both later became Chief Ministers of Tamil Nadu. She has also acted in Telugu films with Dr. NT Rama Rao, who became the Chief Minister of Andhra Pradesh. Manorama is an actress known to audiences from last five decades. She is one of the finest comedians of South who acted in almost all the four southern films. Recently she was seen in Surya's Singham 2 that released in 2013. Manorama is 71 year old and was married-divorced, and has a son Bhupathi born in 1965. We at KollyInsider condemn such false reports and wish Aachi Manorama keeps entertaining us for more years now... Please use media / social network to spread awareness or knowledge, do not use to spread rumours or hoax, that could insults or affects others.